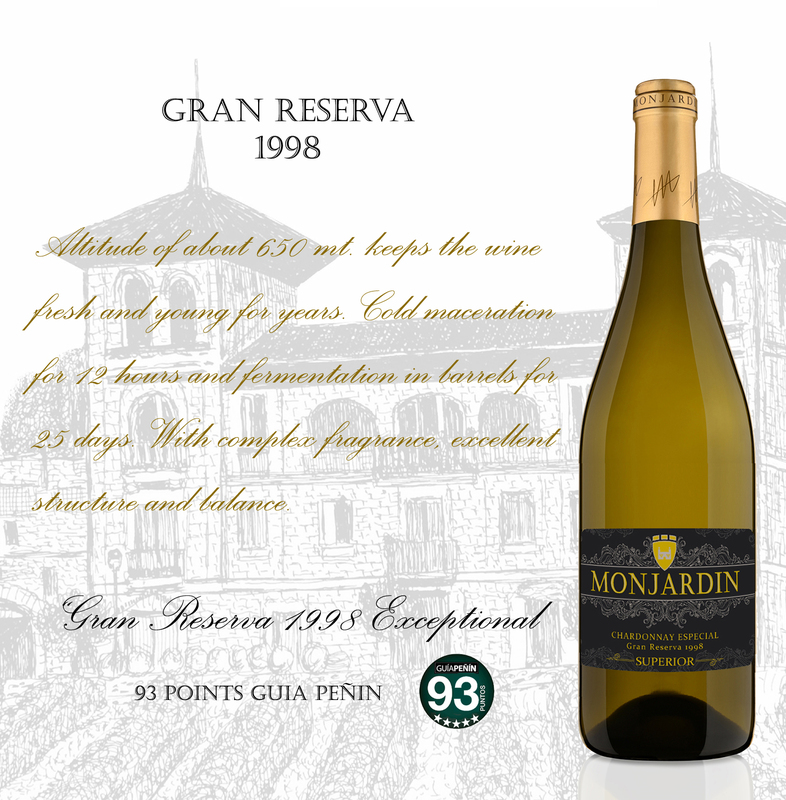 DESCRIPTION: There are very few Chardonnays in Spain capable of carrying out a Reserva breeding and stay fresh, alave, broad in the mouth and elegant. Thanks to the unique climate of the Monjardin Valley, we obtain the necessry conditions to elaborate this style of wines. Vineyard of La Rellanada. Located right in front of the winery, planted in 1988 has always harvested Chardonnay of the highest quality. Altitude of about 650 mt. Very concentrated grapes, with great intensity and fantaastic acidity that keeps the wine fresh and young for years. Harvest in mid-October, medium-sice cluster and golden grain. Processing and aging. Cold maceration for 12 hours and fermentation in new French barrels for 25 days. Aging in bottle, where the evolution in aromas and its complexity are extraordnary. Tasting. Golden color, with complex aromas that change constantly when breathing in the glass. Excelent structure, balanced, with great acidity and solera notes. Open one hour before consuming. Recommendations: Top gastronomy, specialized consumers. “ A unique Chardonnay Reserva "